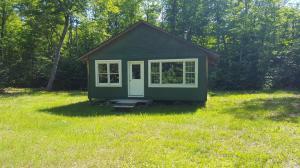 Nice one room cabin with a one car attached garage on 5 acres located east of Newberry. There is a cover porch that could be finished for more living space. The cabin and garage are wired for a generator and the generator is included with the sale. Power is available at the highway. The acreage is a mixture of high and low ground. This is a great hunting area and the parcel borders state land on the north side. 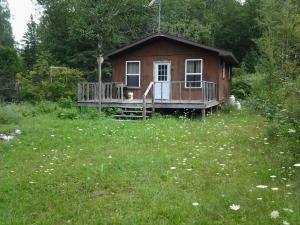 Nice, spacious cabin in the Tahquamenon Woods off N. Fordney Tower Road. Cabin has large open living, dining, kitchen area with bunks in the rear of the cabin for sleeping. Cabin has propane lights and new kitchen cabinets. Located 0.4 mile off a year-round paved road this would make an excellent spot for snowmobiling and ATVing. 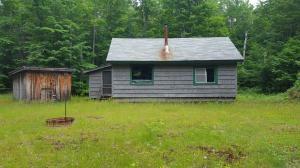 Cabin and 10 acres in the Tahquamenon Woods on Maplewood Road. This cute cabin sleeps 10 and has a bathroom with toilet and shower as well as a kitchen setup. Located down Maplewood Rd this cabin offers some privacy and is a great place to make a base camp for ATV riding, snowmobiling, hunting or fishing. 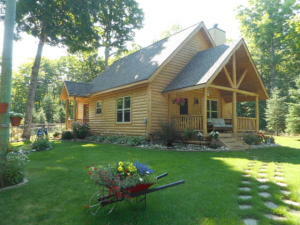 Property includes deeded access to the Tahquamenon River. There's a woodstove to keep you warm at night and a well for water and septic. 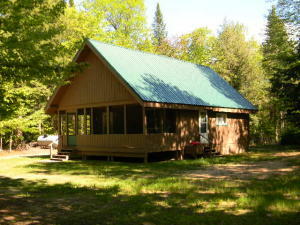 Don't miss out on the opportunity to own your very own cabin in the Tahquamenon Woods at a great price! Nice 3 bedroom home on a corner lot in the Village. There is large kitchen, separate dining area, living room and all 3 bedrooms are upstairs. The full bath is upstairs and the half bath on the main floor. There is a Michigan basement where the furnace and hot water heater is located. Two enclosed porches in the front and back of the house. A nice deck is located in the back yard along with a shed for storage. The home has been well maintained. This 4 bedroom, 1 bath home on 3 lots in the Village. Two bedrooms on the main floor and 2 bedrooms upstairs. There are 2 fireplaces and a nice sun room. The basement has another bathroom and is partially finished but does need some TLC work. Large yard with a covered back deck with a detached 2 car garage and work shop. 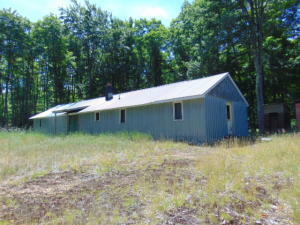 Hunting camp with 40 acres +/- located south of Paradise west of M-123. The acreage is higher ground with hardwoods. The sellers did have the timber select cut in 2017. The property is surrounded with CFA ground which offers more hunting space and privacy. The large cabin has a kitchen, living area, bath and two sleeping areas. Heat is provided by a woodstove. The interior is finished with OSB walls, ceiling and bare subfloors. The exterior is metal siding and roof. The site has a pitcher pump well, minimal septic system and generator. A ton of charm and loads of space! This home has a lot of historic charm with original woodwork and flooring. The first floor has an expansive living room, formal dining room and laundry hookups for convenience with 1-2 bedrooms as well. The upper floor has another kitchen, 3 bedrooms and a bath as well as an open concept large living and dining area. There is a ton of potential to make this a large family home with lots of recreational and sleeping space for family, friends and guests or the potential for a bed and breakfast with plenty of rooms. Home has several closets and cabinets throughout for maximum storage space. Large basement with potential to be finished for even more space and opportunity. Come and take a look at all of the options this property offers. 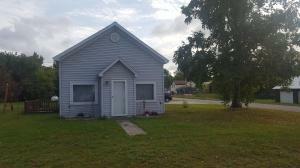 Cute, family home located outside of town in the Dollarville area. Home has been remodeled and has its own well and septic, 2 car garage and additional storage shed. New shingled roof for this 3 bedroom 1 bath home. Additional upstairs space could be converted to a 4th bedroom. Propane forced air furnace for heating and the home also has a pellet stove. Stove and refrigerator included with the sale. Living room and dining areas are large and have been updated. This would make an excellent home for a family with a great location that's close to town but offers some space and privacy. Come take a look at this home and all of its updates! 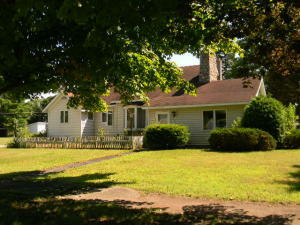 Here is a cute well maintained 2 bedroom, 1 bath home on 1 acre on a year round plowed county road. 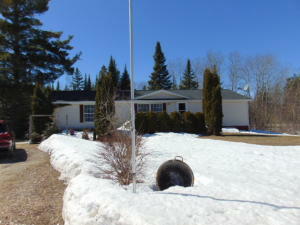 The home has been updated with a new well, furnace, electrical system and appliances. 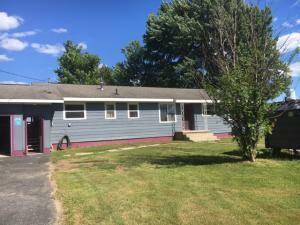 There is washer and dryer hook-up, shed, open deck and the price includes the appliances and furniture. 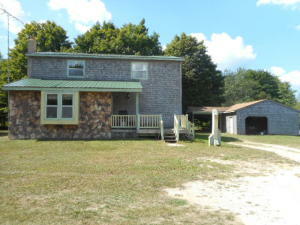 This home would be great for a family or a get away place to fish, ATV ride or snowmobile. 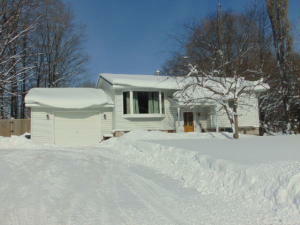 Great location near the lakes and the Curtis snowmobile trail. Awesome location! Prime 80 acres +/- with cabin on a year-round county maintained road. Property is surrounded by public land on 3 sides and offers plenty of recreational and hunting opportunities. Cabin is 24 x 24 with a deck and an outhouse. Cabin comes furnished including two sets of bunk beds, couch, dining table, wood stove and propane cook stove. Power is located at the road and there is an operational well for water. Land is a mix of tamarack and spruce trees with some lower ground for excellent hunting. Don't miss your chance for a cabin with year-round access! This cabin sits on 20 acres of northern hardwoods north of Newberry. The cabin has one bedroom, full bath,a loft area for the second bedroom, another loft for sleeping or storage and screen in porch. There is a 5' well, septic system, 7.2 kwatt solar system with batteries for electricity, gas lights and a 2200 watt generator. Heat source is propane wall furnace and appliances are included. The owner just recently painted the outside of the cabin and some of the interior has been updated. The location is a great spot for a get-away spot, ATV riding and Snowmobiling. 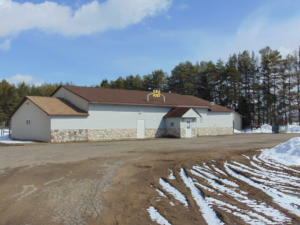 This property that was once a private club offers an excellant opportunity for any type of business/lodge with a great location on M-28 next to the snowmobile trail. The building exterior is in good shape with a new roof in last 3 years, but the interior needs updated. 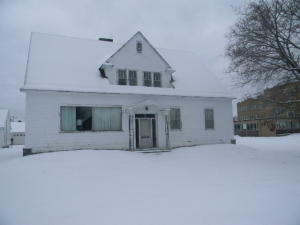 The building sits on a slab, paved parking lot with adequate parking space, wood heat, updated electric and central air. The building has a bar area, eating area, kitchen, storage room, office and prep room, ( kitchen equipment and coolers are not included).The property consists of 6.29 acres with 220' of road frontage and woods in the back of the parcel. There is a large pavilion, 4 inch well, wood shed and electric that runs to the woods for camping. Lots of potential. 3 bedroom manufactured home with 38 acres located just outside of Engadine. Home is spacious with 2 bathrooms and a nicely laid out floor plan. Property is 38 acres in size. Home offers rural living with all of the amenities of being close to town. Refrigerator, washer and dryer included in the sale. 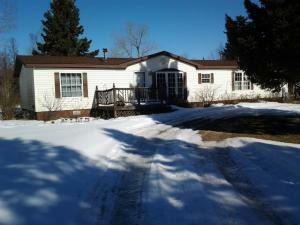 Spacious 3 bedroom, 2 bath manufactured home that sits on 4.5 acres located just out side of the Village. Ranch style with main floor laundry, large living room, master bedroom with bath. The master bath offers a shower and a jacuzzi tub. The home has its own well, septic, natural gas and air conditioning. There is a one car garage and 2 sheds for storage. The detached garage is insulated and has power. Corner lot with a nice landscaped yard. Attention sportsmen!! 10 acres close to Curtis with this 2 story 4 bedroom home with 2 garages!! 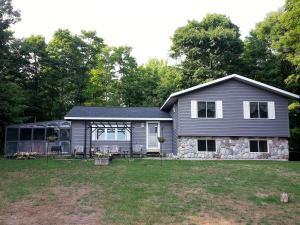 Close to the Manistique lakes for fishing and 10 acres to hunt out your back door making this a great UP getaway! The home offers the main floor kitchen dining combo with a front livingroom that does have behind the drywall a covered access for the chimney to put a future pellet or woodstove back in if you choose. 3 nice size bedrooms up stairs with nice size closet space for storage. A basement for storage along with a new metal roof on the home & 2 garages. 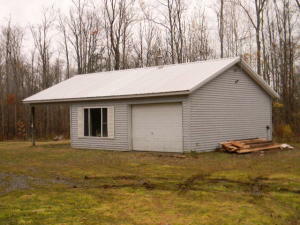 With some finishing touches you can make this a great investment close for a hunter/fisherman, or hobby farm. Set back off the road for ease for kids and pets. Mostly harwoods in back with some cleared area to the road. Come take a look! 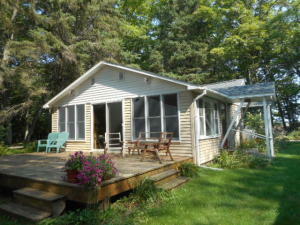 Pristine views with lots of sunshine with this adorable cottage on South Manistique Lake. County maintained road that dead ends for a peaceful getaway on Long point offering cross water views on both sides of the road. The cottage has been all redone for you with beautiful kitchen cabinets, updated bath, new shingles, a spacious living room with full glass and patio door to your lakeside deck. Knotty pine interior with great views overlooking the water. The lot is tiered with stairs down to a nice flat area by the water for dock storage, and enjoying the beach. Also has a fish cleaning house for ease. A 24x32 garage with lean-too for storage, and most furnishings, dock, lift and fishing boat can be negotiated separately! 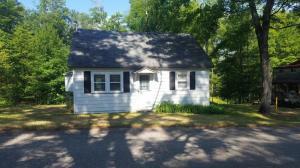 Well maintained inside and out, to come and relax in Curtis Michigan! 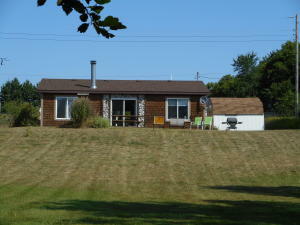 Ranch style home with 3 bedrooms and 2 bath that sits on 5 acres. 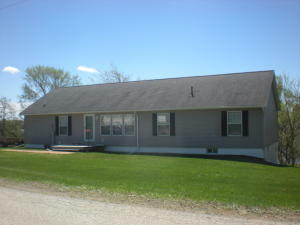 The home has 2 bedrooms and 1 bath on the main level and finished bedroom with bath in the walk-out basement. The home also has an attached 2 car garage, storage buildings and fenced-in yard. There is a seperate structure 864 sq ft in size that was built in 2014 on the property that was a board kennel for dogs and cats. This structure has a bathroom, kitchen area and lots of strorage space. The building could be used as a seperate living quarters, a business or still operate as a boarding kennel. The extra features of the seperate building is that it has its own driveway, septic system fenced yard but does share electricity and water with the house.The property of the house and seperate building is wooded and 660' deep. 100' of prime sand bottom beach on Big Manistique lake with a awesome view of one of 4 islands on this 10,000 acre all sports lake in the UP. Home is all knotty pine through out offering 3 bedrooms, open livingroom with wood stone fireplace and cathedral ceilings! Patio doors to the lakeside patio that offers sunsets to enjoy! Kitchen is a Galley style open to dining and livingroom with a large window facing the lake. Newly updated 3/4 bath with tiled shower, along with a new roof in 2015. Nothing to do but move in and start enjoying our UP summers! Currently rented weekly for 900.00-950.00 to offset expenses if you choose. Applicances included, and all furnishings and dock can be negotiated separately. Electric heat and a slab for easy draining and opening if used seasonally. Must see! Privacy awaits with this wooded 174' on Big Manistique lake overlooking 2 islands with a well kept 3 bedroom home and garage. Winding drive in off a county maintained road for ease. The home offers a nice open concept with new berber carpet in the livingroom and woodstove for chilly nights. 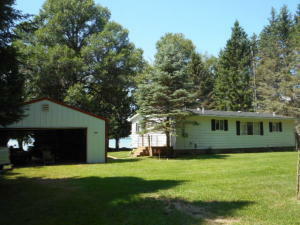 Nice spacious rooms with a galley style kitchen with dining open to the livingroom and lakeside deck for entertaining. Master bedroom on one side of livingroom and 2 bedrooms and bath for kids or guests. Forced air heat with laundry off the kitchen and a nice drive thru garage for storage. All Appliances, Dock, and furnishings can be negotiated with this sale for a turn key move in place on the water!! 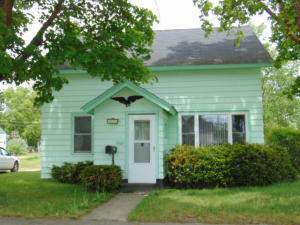 A great rental property with so much privacy. Come take a look!! Seller is Motivated! HUGE REDUCTION! Below appraisal! Unique 282' on Big Manistique lake with pristine views & the river meandering on the side with swans & waterfowl, with the lake out front! Ranch home offers open living room with hardwood flooring, & fireplace to relax at with stunning lake views! Nice size kitchen, beautiful cabinets, open to dining & all appliances included! 2 or 3 bedrooms with a nice laundry off the heated attached garage with 1.5 baths. Comes with a outdoor wood boiler, or propane baseboard zoned heating. The end of a cul-de-sac makes this a private setting yet a year round maintained road! The optional back lot has a 24x32 pole barn if more storage is needed for a great price of 189,900.00! Most furnishings, dock, can be negotiated separately! Wired for on demand back up generator! Exquisite Custom cedar 1/2 log sided home on beautiful 10 acres with perineal gardens, fenced in yard, and trails back to 3 deer blinds that abuts CFA land you can hunt! The home was built with energy efficiency in mind with both forced air propane heat and a nice woodstove/hearth in livingroom that will heat the whole home nicely. Hardwood floors, skylights, hickory cabinets, & beautiful open log staircase with vaulted ceilings, cedar T/G for a cozy up north feel!! The loft bedroom is spacious with plenty of built in storage. All open concept with a large master bedroom with double closets, & private half bath. Main floor laundry off the kitchen with a beautiful front porch to enjoy your morning coffee while you watch the wildlife! Meticulous home, detached garage & storage shed! 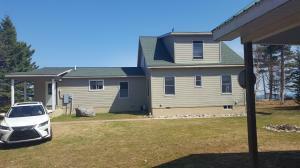 200' of Big Manistique lake frontage with Panoramic views with this gentle sloping lot on the North shore. Spacious, meticulously maintained 3 bedroom 2 bath, 2x6 modular home on a full walkout basement offering plumbing for 3rd bath and loads of space for finishing. The main level offers open livingroom/dining, and kitchen all on lakeside to enjoy the views with patio doors to a new trex raised deck for entertaining! Wake up to lake views in the master bedroom with spacious master bath on suite & walk-in closet. Raised panel wood doors, and nice woodwork throughout. Kitchen has an open bar for entertaining with plenty of cupboard and counters for working. A spacious familyroom for a great office space with main floor laundry for ease. Nice beach faces south for sunshine & prime sunsets! Simply Superior! 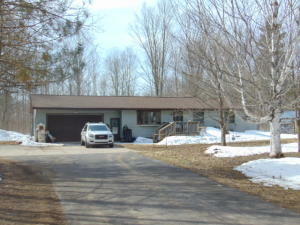 Stunning, gorgeous Lake Superior property with 100' of frontage. 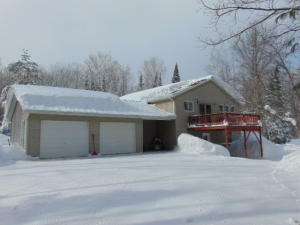 Beautiful home on majestic Lake Superior with 4 bedrooms and 3 bathrooms and a drive-through garage for storage. Enjoy breathtaking sunsets and sunrises, search for agates on the beach or just simply take in the view and maybe see a freighter or two. Incredible views of the water. Property has been well maintained and taken care of and offers all of the comforts of home with privacy and a beach. Large master bedroom upstairs with private bath and an excellent view. Large living room area with a sunroom and also a screened-in sun porch. A ton of space for family and guests with 4 bedrooms. Kitchen appliances included, laundry hookups intalled. You have to see this property to appreciate its beauty! Serving all your real estate needs in Michigan's Eastern Upper Peninsula. We cover listings in Seney MI, Curtis MI, Newberry MI, Engadine MI, Naubinway MI, Paradise MI, Trout Lake MI, Eckerman MI, and Strongs MI. Contact one of our knowledgeable agents to get started today!